Cubitts are modern spectacle makers, founded in King’s Cross, London. 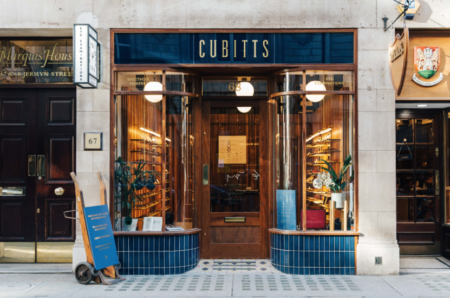 Cubitts’ spectacles are handmade in the traditional way, and go through fifty crafted stages of production over a period of six weeks, including four separate stages of polishing to ensure a glorious lustre. The Jermyn Street Atelier, whose design features subtle nods to the surrounding area, offers an exclusive rolled-gold collection, a St James’s-inspired made-to-measure collection, and thorough eye examinations, as well as the made-in-London bespoke service.